Are you looking to make money online? If so, you're at the right place! 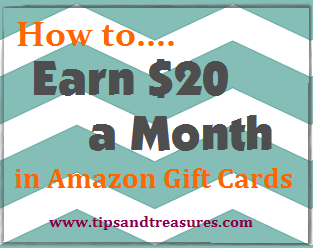 I put together this fabulous list for all of you that are looking to easily earn money and gift cards online! I originally published this list here two years ago. I just updated it, although it's mostly the same, except for a few additions. Good luck and I hope they help you earn some extra cash! I want to stress that any of these places on my list are legitimate sites that I trust. I have used each of these for quite some time now and have also been paid by each of these. Swagbucks - Search engine powered by Google and Ask.com - They randomly award you Swagbucks and you can redeem them for gift cards and all kinds of prizes. My favorite is the Amazon gift card for only 450 Swagbucks. You can also earn Swagbucks when they give out free codes, for referring your friends, shopping, playing games and watching videos. Get 30 free Swagbucks just for signing up! Winster - Free game site. I LOVE the games on this site and easily get addicted to them. My favorite is Slot Social. Anyway, it's completely free to play or you can upgrade to a monthly membership, but remember that you can play & earn for FREE, no need for the membership, unless you get addicted like me :) Anyway, as you play the games, you're awarded points. Redeem your points for gift cards, etc. My favorite is the Amazon gift card. My Points - They send you emails with advertisements in them. Some are worth 5 points, some aren't worth anything. Open the emails, click the link to view the site and you are awarded your points. I only click the emails that say they are worth 5 points. I just delete the others. Also earn points from shopping at your favorite stores through their links, referring friends, printing and redeeming grocery coupons and taking surveys. Redeem your points for all kinds of gift cards! You Data - View advertisements, click on the link to view the site and easily earn cash. They pay every Friday directly into your PayPal account. No cashout minimums. And no need to even request payments! By the way, PayPal is free and easy to use, incase you're wondering. QuickRewards - They send you emails, you click on the advertisements and view the site. They reward you in points which translate into cash. This also pays to your PayPal account. No minimum cashouts! Send Earnings - They send you emails, you click the link and view the advertisement or site. They reward you in cash. You can also earn cash for taking their surveys and referring friends, among other things on their site. Earn $5.00 just for signing up! Inbox Dollars - Exactly the same as Send Earnings. Feel free to sign up for both! Snap Dollars - They send you emails and you click the link to view the site. They award you in cash. Also earn additional cash by referring friends ($5 for each one!) and other activites on their site. Sign up and you'll get a $5 sign-up bonus. DonkeyMails - Get paid for viewing advertisements in your email and then clicking the link. Once the new page opens, a countdown will begin and you need to stay on the page for 15 seconds. Their site is scammy looking, I'll admit. But I've been using it for over a year now and have been paid twice to my PayPal account so far with no problems at all. And I'm actually ready to cashout again for a few dollars! To request PayPal payment, you only need to have a minimum of $1 in earnings. There are other ways to be paid as well, but I prefer PayPal. These sites are all FREE for you to use. No cost is necessary to use these sites. They will pay YOU in either cash or gift cards, depending on the site. Note that on several of these sites there may be free trials or whatnot that you can sign up for, but beware that some of them do require a credit card and may cost you money. These are completely optional portions of the sites. I normally avoid these and I don't sign up for anything requiring a credit card, unless it's something I really want, which is pretty rare. My suggestion is to keep with the free portions of these sites. You will still earn cash and gift cards, so no worries about that. 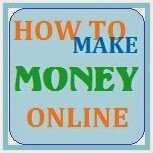 I hope this list helps you to get started making money online or helps you find a new site to try out. This list will not make you rich, but it sure is nice to have these extra bits of income. Check back occasionally, as I will add sites to this list... but only after I try them out for awhile and I receive a payment from them. You can always find this list by clicking on the "Earn Cash Online" tab on my menu bar. Any questions, please feel free to contact me and I will try my best to help you out! Disclaimer: The links included in this post are my affiliate links. If you sign up for any of these sites through my links, I may receive bonus points for that site. Thanks so much!